A university student who was allergic to dairy products died after eating a chicken burger marinated in butter milk at a restaurant, an inquest has heard. 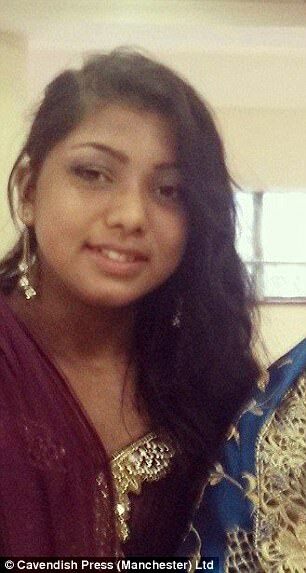 Shahida Shahid, 18, died in hospital on January 12 2015, three days after collapsing following a visit to Almost Famous Burgers in Manchester city centre. A friend administered her epi-pen to combat the allergic reaction and she was rushed to hospital. But the university of Manchester mathematics student died after suffering severe brain damage ‘not compatible with life’, a jury at the inquest was told. Sally Hadfield, assistant deputy coroner for Manchester, outlined the case to the jury of the six women and five men at the start of the hearing, expected to last eight days. 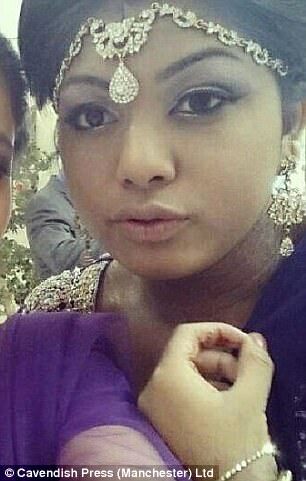 Shahida’s family, her mother and brother, represented by lawyers, sat at the back of the court, behind more lawyers for the restaurant and Manchester City Council, responsible for inspecting restaurants. 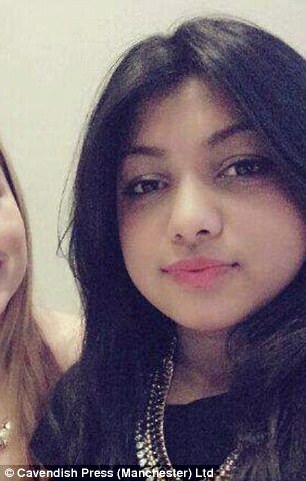 The court heard Shahida studied at Walkden High School and Winstanley College in Wigan and was in her first year studying mathematics. She went out for a meal with friends in Manchester over the Christmas holidays to celebrate their first term at university. 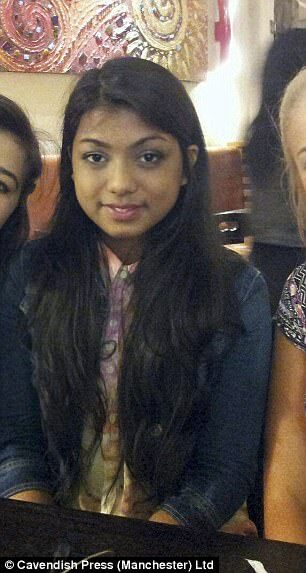 While at the restaurant, in the city’s Great Northern Warehouse shopping centre, Shahida ordered and ate a chicken burger which had been marinaded in buttermilk, the jury was told. Paramedics were only called when she reached The Printworks, another shopping centre half a mile away. The coroner continued: ‘We will hear evidence she gave a description of her allergies and hear from some witnesses as to what the restaurant did with that information. 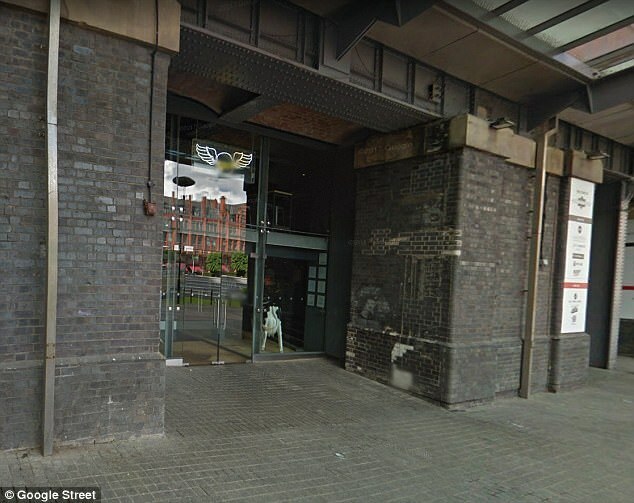 ‘She ate the chicken burger and at the time did not feel any effect but walked up towards the Printworks at around 8pm that evening and suddenly then the effect of her allergy became apparent. Although a friend administered her epi-pen that she carried with her, she did not recover after suffering severe brain injuries and died three days later. Ms Hadfield said the main issues the jury will have to consider is how she came to eat a burger marinated in dairy produce, the butter milk, what was discussed with restaurant staff and evidence about the epi-pen. The first witness, Shahida’s older sister, Dr Sharmin Shahid, a GP living in Bristol, said her sister developed eczema and asthma as a child and had allergies, avoiding food including dairy products, eggs, fish and nuts. But the witness said her sister adopted a dairy-free diet and was otherwise able to live normally. Dr Shahid said as a ‘bossy’ older sister, she taught her sibling when out for meals to tell the waiter about her allergies and if it was not being taken on board she would step in. On two previous occasions she had been hospitalised with allergic reactions after inadvertently eating dairy produce. On her 16th birthday, with her father battling terminal cancer, while at home she had pancakes with whole milk instead of soya milk and had an allergic reaction. She was treated in hospital and prescribed an epi-pen. Then in November 2013, while at a restaurant in Birmingham she had some food and another reaction and her GP sister administered the epi-pen and she spent four hours in hospital under observation. Dr Shahid agreed her sister was confident and was ‘very good at being vocal’ talking to restaurant staff about what she could not eat.